One of two destinations associated with the luxury resort, the American Club, Blackwolf Run is a golf course complex in Kohler, Wisconsin. According to GOLF Magazine, the River course at Blackwolf Run “must be considered the nation’s finest public-access course of modern times.” The site of multiple US Women’s Opens, Blackwolf Run, designed by architect Pete Dye, consists of 36-holes– the River course and Meadow Valleys course, separated by the meandering Sheboygan River, flowing east to Lake Michigan. The “extremely penal” 18-hole River course features bent grass, elevation changes and additional water hazards to comprise 7,404 yards of golf from the longest tees for a par of 72. Although the fairways are more forgiving on the Meadow Valleys course, elevation changes on the back nine and the greens through the open meadow are considered a challenge. 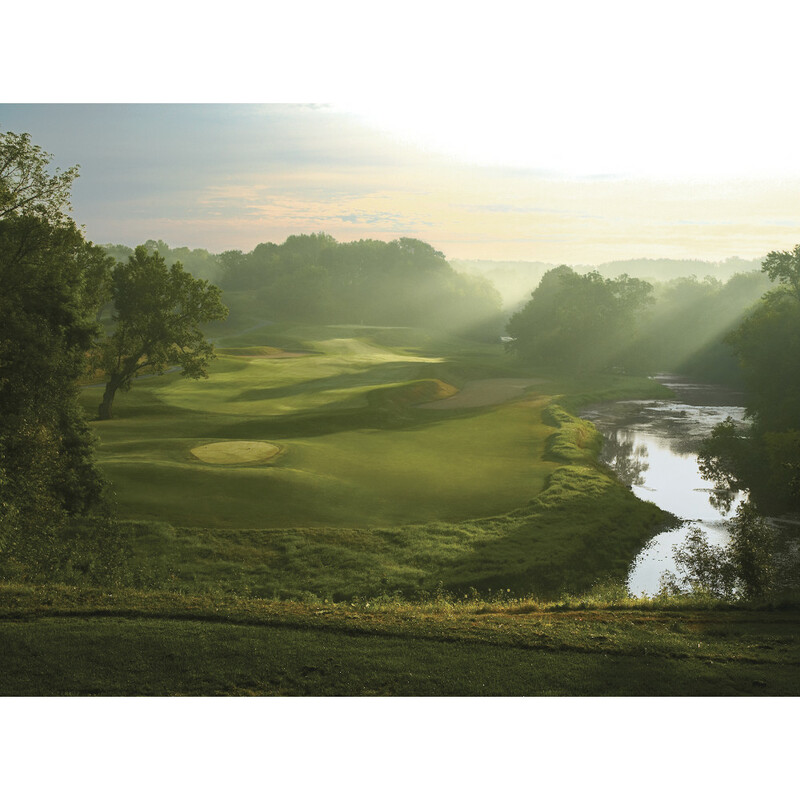 Both the River and Meadow Valleys courses received the coveted 5-star ranking from Golf Digest. The American Club Resort is also associated with the Whistling Straits complex in nearby Haven. The Straits course replicates ancient seaside links courses of the United Kingdom and Ireland. Kohler Waters Spa was awarded the 2013 Five-Star Award by Forbes Travel Guide, one of only 35 of these distinctions worldwide. In addition to massage, facials and traditional body treatments, the spa offers craniosacral and energy therapies using muscle testing and tapping techniques performed by a BodyTalk technician to combat stress and clear imbalances. The year-round co-ed area has a glass-enclosed rooftop deck with whirlpool, fireplace and lounge. A soothing space offering drop-in classes, Yoga on the Lake is the premiere local studio. It has energy-efficient heated floors to loosen muscles and floor-to-ceiling bay windows overlooking Wood Lake. Boutiques and specialty shops at Woodlake Kohler offer apparel, furnishings, toys and collectibles. There’s cuisine to meet any taste when dining in the Village of Kohler. From gourmet breakfast buffets to full-course dinners, the American Club resort has nine distinct dining establishments. Offerings include traditional Midwestern, Italian and British Isles fare, micro-brews, homemade desserts, ice creams and a chocolatier. The American Club is one luxurious destination the golf enthusiast won’t want to miss!